Because her parents are transferred away due to their jobs, Mikoto, a grade 11 student, starts living alone on 100,000 yen per month. But the place she lives at is a horribly old apartment... And the one living in the room next to hers is a super cool boy...?! Mana and Shou have to go their separate ways after graduation, will they be able to stay together when they're hours apart? 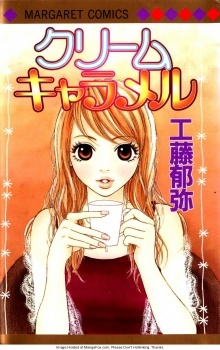 Sonomi has been in love with Ikuta-san since she was in the seventh grade, four years before this story takes place. Ikuta-san suddenly starts working at her uncle's cafe, and it seems like Sonomi might have a chance to be his little sister, since he's been going out with another girl for those same four years that she's loved him.